The Client: Ruth Williams House provides 88 units of affordable housing to men and women who are homeless, formerly homeless or at risk of becoming homeless—including young adults—as well as low-income members of the community. Residents of the supportive housing units at Ruth Williams House will be linked to medical and behavioral health services and substance use treatment and recovery services, as needed. All residents will be eligible to receive employment and education services through Project HOME’s employment services program. The area currently has many underutilized buildings and lots with a proximity to a large, active educational institution and public transportation. Ruth Williams House is located in the “North Philadelphia Transit Hub” section of North Broad Street. This area is a transportation hub and identified in the North Broad Street Plan as an ideal location for transit-oriented development. The addition of housing and mixed-use buildings will build upon the previous investment in retail. Ruth Williams House supports the City’s goals of development on the North Broad Street Corridor: to reestablish North Broad Street as a mixed-use urban area, to promote Philadelphia’s image as a “walker’s city” and to build connections along the North Broad Street corridor. The Challenge: This public serving agency experiences a high turnover rate, so the new facility would need to be designed in such a way that was inviting and gave a feeling of home, yet had movement. Flooring played a crucial role in the design of the new Project Home facility. 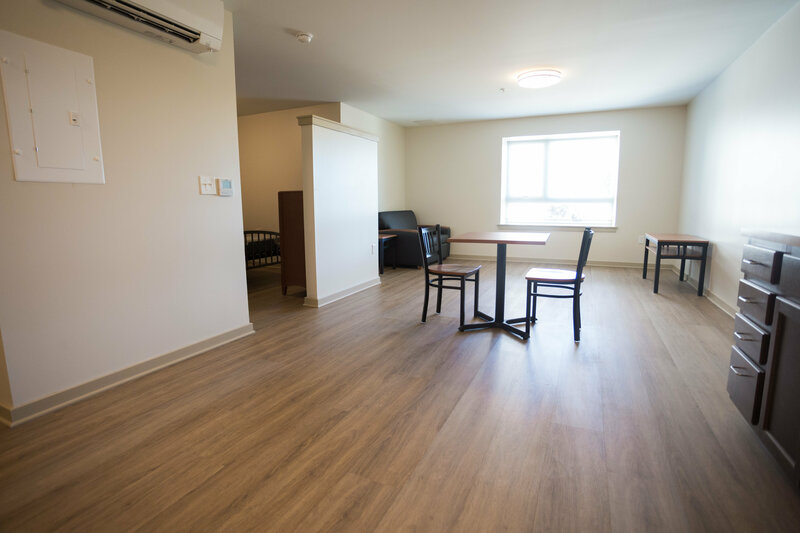 Typically, VCT flooring is used in public housing, but architects chose a material that would give a more comfortable feeling of home as well as long-lasting durability. 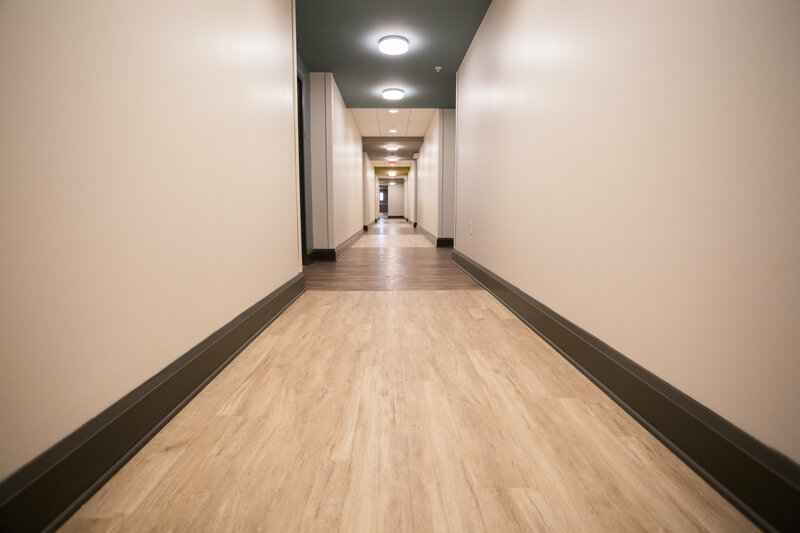 Having used luxury vinyl flooring in several multi-unit facilities in the past, we knew this product offered design versatility, sound-absorption qualities and in fact requires less maintenance than other flooring options. 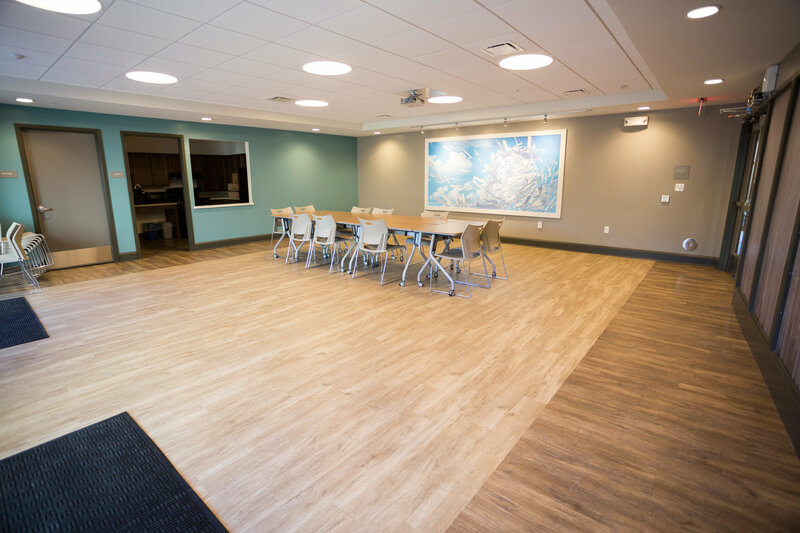 Not only did luxury vinyl flooring help create a comforting and welcoming aesthetic inside the facility, but it also helped define pathways and accentuate specific areas throughout the common space. In the end, Project Home officials were very happy with the look and feel of the new space. Contracted work was performed for Domus,Inc. builder of Project Home Ruth Williams House.